A novel finding that soy protein and whey protein increase the size of different types of muscle fibers suggests that a combination of these two proteins may be a more optimal approach for producing gains in strength in response to resistance exercise training than either protein alone. The notion that a blend of proteins may be superior to a single protein is not a new concept. Reidy et al.1 found that a blend consisting of whey, casein and soy protein extended muscle protein synthesis for a longer time than whey protein alone. This effect was attributed to the relative digestion rates of three proteins as whey and casein are considered to be fast and slow-digested proteins, respectively, whereas soy is thought to be intermediate between the two. In 2017, Mobley et al.5 showed no differences in gains in muscle mass among five groups of young men who were given a placebo, leucine, whey protein concentrate, whey protein hydrolysate or soy protein concentrate. The amount of the protein supplement consumed by each group (except the placebo) was designed to provide similar amounts of leucine, the amino acid thought to be primarily responsible for triggering muscle protein synthesis. Thus, 39 g/d of soy protein was given vs only 26 of whey protein concentrate. This study also found that soy protein did not affect fasting serum levels of testosterone or estrogen,6 which is consistent with a large amount of data.7,8 Furthermore, soy protein did not affect the expression of muscle androgen receptor protein or adipose tissue estrogen receptor protein. Thus, concerns about feminizing effects of soy protein are once again refuted by the direct experimentation. The lack of effect of protein supplementation on muscle mass noted by Mobley et al.5 could be because the effect of training in novice weight lifters is so robust that in some situations it may overwhelm any more modest effect of an additional protein boost, regardless of the source, especially in those individuals already consuming a protein-adequate diet. It is also worth noting that recent research indicates that leucine-induced mTOR signaling may not be solely responsible for the anabolic effect of protein ingestion. According to van Vliet et al.,9 leucine and mTOR signaling fail to signal to eukaryotic initiation factor 2 to initiate translation. It may also be that additional amino acids besides leucine are needed to sustain translation. In 2018, followup analysis by Mobley et al.5 led to a rather novel finding.6 Although as noted they observed no differences in muscle mass between whey and soy protein, the former primarily increased type II muscle fiber cross-sectional area whereas the latter primarily increased type I muscle fiber cross-sectional area. Type I fibers (slow twitch) are used in lower-intensity exercises such as very light resistance work aimed at muscular endurance and long-duration whereas type II muscle fibers (fast twitch) are used for high force/power/speed production and low endurance. (Type II are broken down into type IIa and type IIb). When considering the differing effects of soy protein and whey protein on muscle fibers noted above6 and the work by Reidy et al.2 showing a blend of proteins led to better gains in muscle mass than individual proteins, it is very clear that more research comparing protein blends with single proteins is warranted. It may be that blends containing whey and soy protein represent a rather innovative way to enhance the effects of resistance exercise on strength and lean body mass. Reidy PT, Walker DK, Dickinson JM, et al. Protein blend ingestion following resistance exercise promotes human muscle protein synthesis. J Nutr. 2013;143(4):410-6. Reidy PT, Borack MS, Markofski MM, et al. 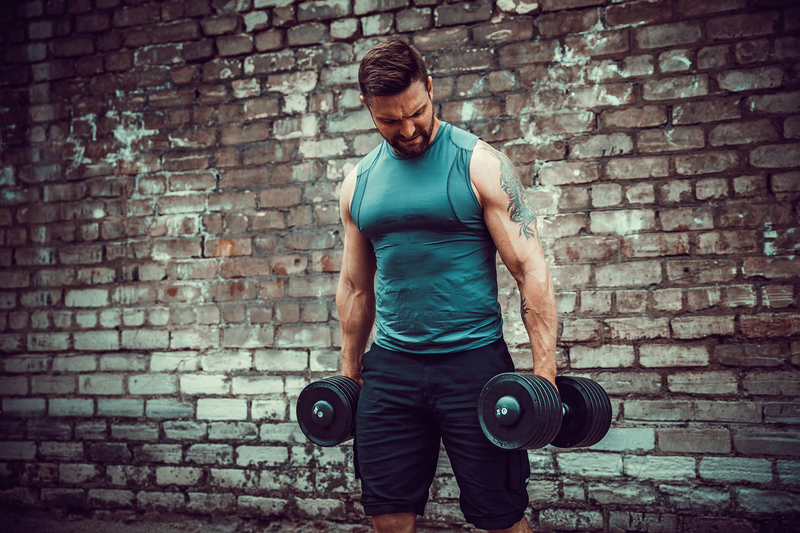 Protein supplementation has minimal effects on muscle adaptations during resistance exercise training in young men: A double-blind randomized clinical trial. J Nutr. 2016;146(9):1660-9. Phillips SM, Tang JE, Moore DR. The role of milk- and soy-based protein in support of muscle protein synthesis and muscle protein accretion in young and elderly persons. J Am Coll Nutr. 2009;28(4):343-54. Messina M, Lynch H, Dickinson JM, et al. No difference between the effects of supplementing with soy protein versus animal protein on gains in muscle mass and strength in response to resistance exercise. Intern J Ssport Nutrition Exercise Metabolism. 20181-36. Mobley CB, Haun CT, Roberson PA, et al. Effects of whey, soy or leucine supplementation with 12 weeks of resistance training on strength, body composition, and skeletal muscle and adipose tissue histological attributes in college-aged males. Nutrients. 2017;9(9). Haun CT, Mobley CB, Vann CG, et al. Soy protein supplementation is not androgenic or estrogenic in college-aged men when combined with resistance exercise training. Scientific Reports. 2018;8(1):11151.
van Vliet S, Smith GI, Porter L, et al. The muscle anabolic effect of protein ingestion during a hyperinsulinemic euglycemic clamp in middle-aged women is not caused by leucine alone. J Physiol. 2018. Nice write-up. I’m Mike Roberts for Auburn (PI of the Mobley et al. studies) and I thought you did a great job summarizing our studies. Take care. Thank you for the kind words. Very nice of you to take the time.